Today we end our DesignWinMake finalists roundup talking with Rosa Topputo from D'Arc Studio. Rosa co-founded D'Arc Studio with Alessio Tommasetti and participated in our contest with the Cambiami project, created also with Valentina De Santis. 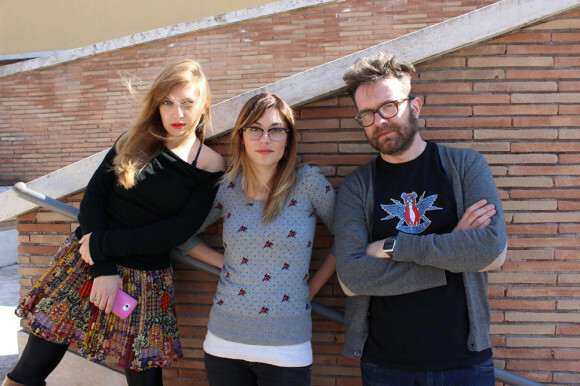 Cambiami ("change me" in English) is a pair of quick-change, and somehow "moody", glasses which won the third place. We wanted to know something more about this concept. Where does Cambiami come from? 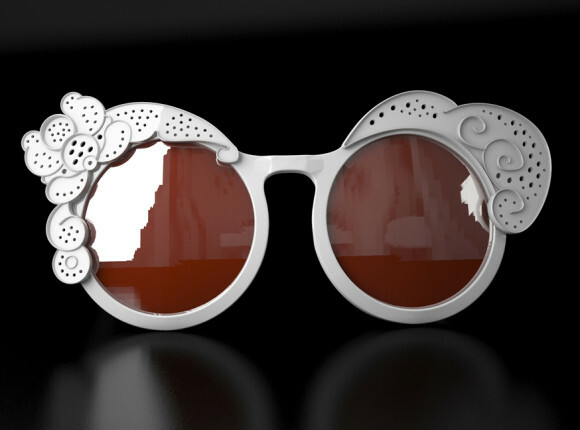 We wanted to create some glasses - both reading glasses and sunglasses - which could adapt to their owner's daily mood. How many times did you want a whole collection of glasses to match your outfit of the day? Instead, we are forced to go on with our boring usual frame. 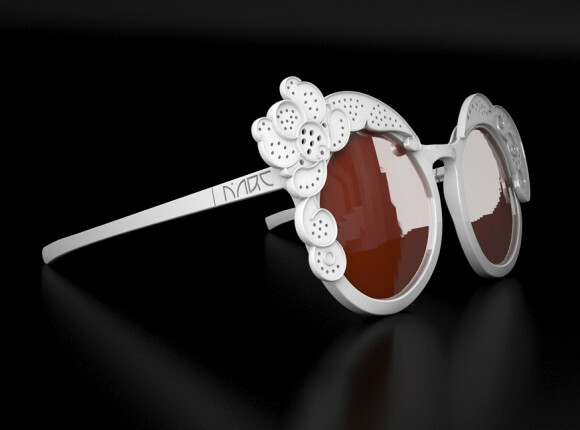 For this challenge we decided to test ourselves and our competences designing 100% customizable glasses, with the clear goal to mix a passion for fashion, with its constant and unstoppable evolution, and the personal taste typical of us Italians. Cambiami glasses use always the same basic frame and the same lenses, but we designed some accessory elements which easily snap on the frame itself. The outcome is a pair of glasses which in just a few seconds can switch from a minimal to an eccentric design, and vice versa, with a minimal expense because the lenses and the frame don't change. What's the story behind D'arc.Studio? D’arc.Studio was born in Rome during a hot May of 2007, when together with Alessio Tommasetti, after the umpteenth working frustration, we chose to keep on creatively dreaming adding a bit more of irony and self-criticism. So we decided to found a brand whose name itself underlines our will to not surrender to reality: Desperate Architects Rome City, or D’Arc. D’Arc.Studio is an architectural firm which does not limit itself to a single discipline but it's open to influences coming from art and science, assimilating what can become a fundamental part of a project. We closely examine what already exists, what could become and what inspires emotions worth to be studied and translated. We don't design, we live. And we love to engage our associates in our projects, like Valentina De Santis for Cambiami. Our idea of working is openness and constant exchange. What does it mean, for you, this achievement in DesignWinMake? It makes us happy and proud, also because this reward comes form an innovative reality like MakeTank. In Italy, the country of Design, today is hard to find places and people ready to accept new things and new ways to make, like 3D printing. We're really proud to be part of this team. Why did you choose 3D printing? What do you like the most in it? President Barack Obama said something that's very symbolic for us: “3D printing has the potential to revolutionize the way we make almost everything. The next industrial revolution in manufacturing will happen in America. We can get that done”. Making objects with 3D printing make design popular, helps a designer to create his/her objects bypassing the hardest link of the chain: the manufacturing company which, of course, thinks only in big numbers. In our project 3D printing is fundamental: it lets us customize an object almost in real time and create a new relationship between designer, user and maker, fulfilling more and more varied market needs.